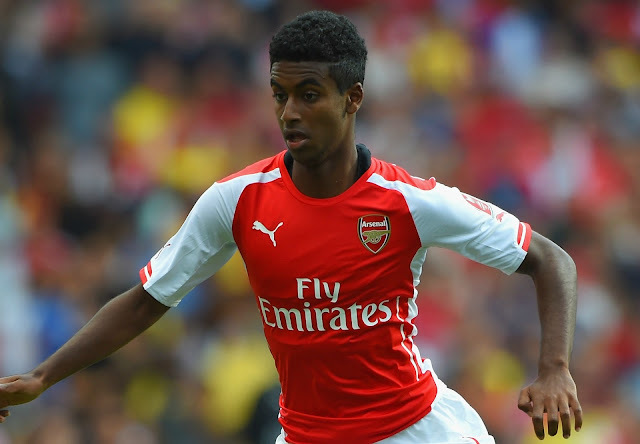 Arsenal Transfer News - Gideon Zelalem seal new deal. Arsenal youngster Gideon Zelalem has signed a new deal at Scottish giants Rangers. Arsenal youngster Gideon Zelalem has signed a new deal at Scottish giants Rangers which will keep him till the end of this season. The Gunners’ wonder kid signed a six month loan deal in the summer and now have extended his stay to further six months. The 18-year-old has been rated by Arsenal manager Arsene Wenger very highly and could be having a chance next season at Emirates Stadium. He has made two appearances for Arsenal first team since his promotion to first team. The Scottish side have been very happy with his performances, he has made 7 assists in 16 appearances so far this term and is now going to further shine in order to bolster his chances at playing in Arsenal Football Shirt next season. Rangers are currently on top of the Scottish league and Zelalem has been vital for them. The German born player has played for German under 15, 16 and 17 sides. But also made appearances for United States under 20 and 23. Meanwhile, Arsenal are yet to conclude the deal of Mohamed Elneny from FC Basel despite of strong reports. The Egyptian is still waiting to finalize his deal.